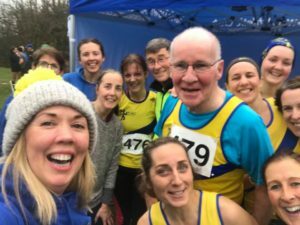 Sixmilewater park in Ballyclare hosted it’s second cross country race in 3 weeks following the McConnell Shield earlier this month. 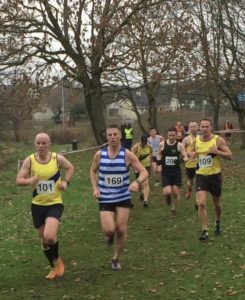 With it being a league race numbers were vital in the mens and ladies races and the club managed to secure at least 12 finishers in each. 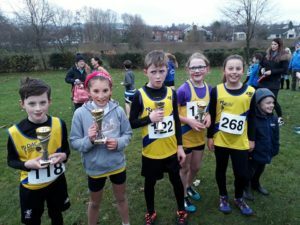 There were also notable performances in the younger age group races. Holly Blease was best placed 3rd in the girls while Lauren Cheatley was 5th and Anna Moran completed in 8th. The boys were led home by Alex Downey in 4th and Isaac Dunne finished in 5th. 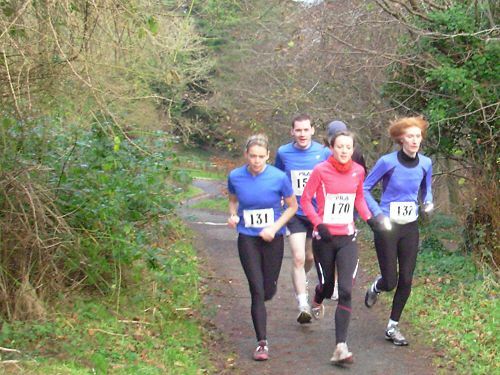 Lucy Cheatley managed 4th place and was followed by Naomi Dunne in 5th. Morgan Wilson was our only runner in this race and performed well to finish in 7th. 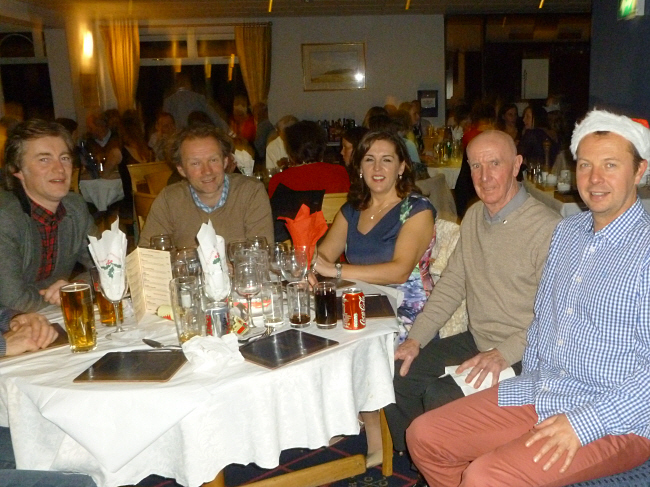 This combined race saw wins for Frankie Rea in the O60, Davie Seaton in the O70 and a runner up spot for Jodi Smith in the F35 while Gerry O’Boyle had a decent run to finish 3rd O60. 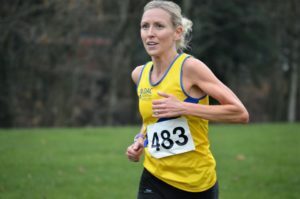 Helen Byers ran well to back Jodi up after their representative duties in Swansea last weekend and Valerie McDonough, Clare Kennedy and Lindsay Doulton were the next club runners to finish. 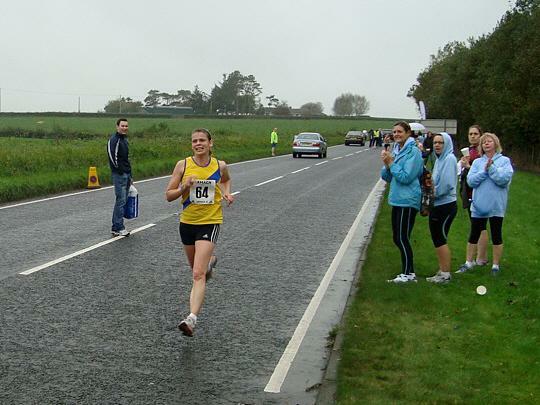 Claire Scott, Nicola Downey, Cara Jeffrey and Lisa McMeechan were next with June McMinn, Joanne Moran, Hannah Dunne and Nicola Stevenson followed by Paula Simpson and Pat O’Driscoll comleting the North Down entry. 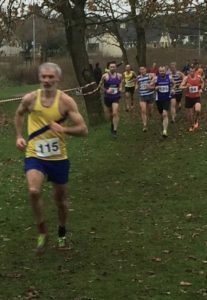 There was good grouping with the leading ND runners at the head of the field with Jack Bradshaw continuing his good form with a strong 25th finish and 16 seconds later Jamie McMeechan finished in 31st, Mark Weir was a close 11 seconds behind in 36th and Nick Irvine 39th, 5 seconds afterwards. 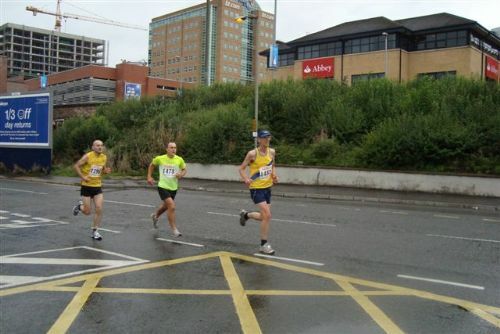 David Massey ran well in 46th position and Philip Ballie, Chris Downey and Chris Moran came in next.